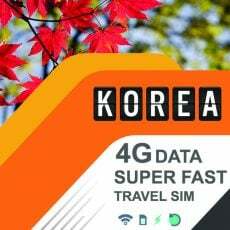 Wherever you go in Korea – stay connected with the Korea Travel SIM. Fast 4G data and unlimited 3G. Super easy to use and best coverage across Korea!